It is certainly true that personal and team productivity is central to business success. As a leader, you must be able to set and achieve goals – even when there are a thousand and one things going on at the same time. Organisations that have leaders focused on productivity improvements, improved teamwork, enhanced goal setting and communication, will enhance overall results and performance. These are the essence, the basic building blocks, of successful leadership and of a successful organisation. 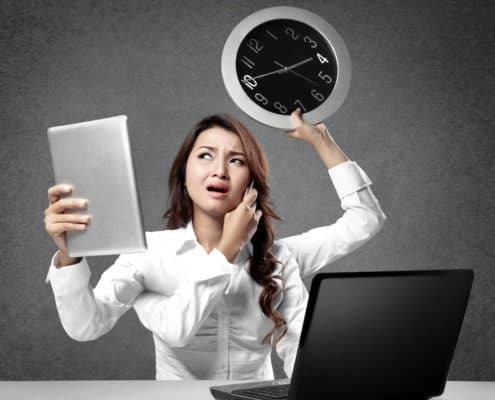 Are you very busy with lots on conflicting demands on your time? Do you need to keep several ‘balls in the air’ and still complete a day’s work? Do you feel that you could be more effective “if only …”? If you need more time in the day then you probably need Effective Personal Productivity®. The Effective Personal Productivity Course is designed to assist leaders at any level in the organisaton to achieve increased personal and team productivity.